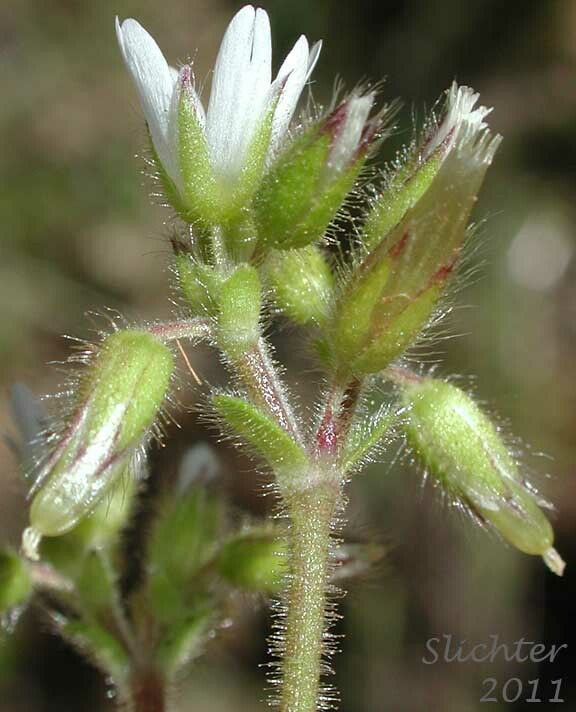 Close-up of the branched inflorescence of sticky chickweed as seen in grasslands adjacent to upper Swale Canyon, Klickitat County.............April 23, 2010. 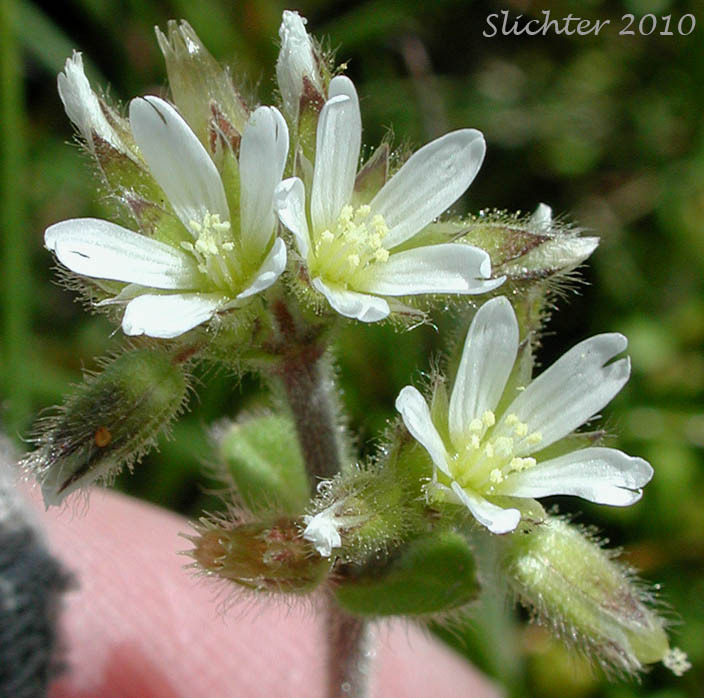 Close-ups of the flowers and calyces of sticky chickweed as seen in grasslands adjacent to upper Swale Canyon, Klickitat County.............April 23, 2010. 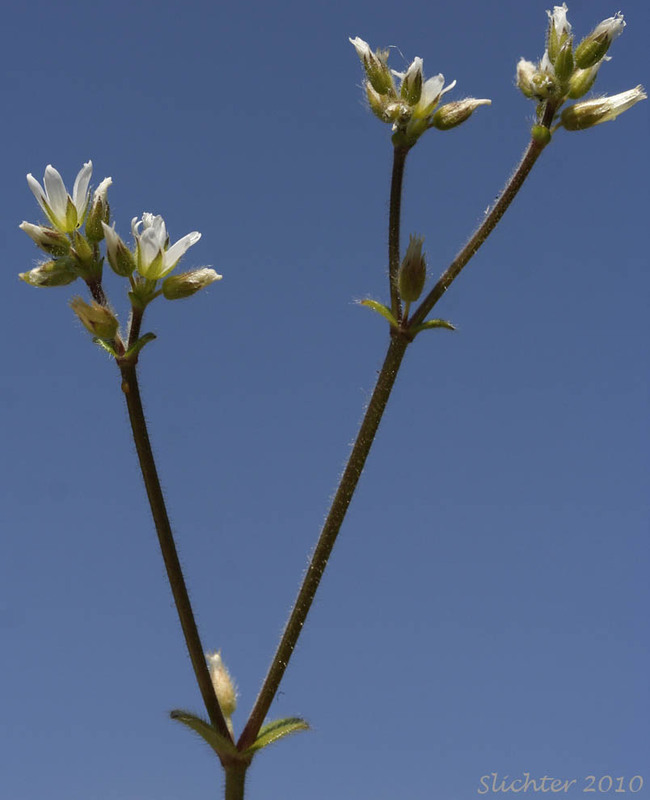 Note the long thin petals with cleft petals which are longer than the calyces. 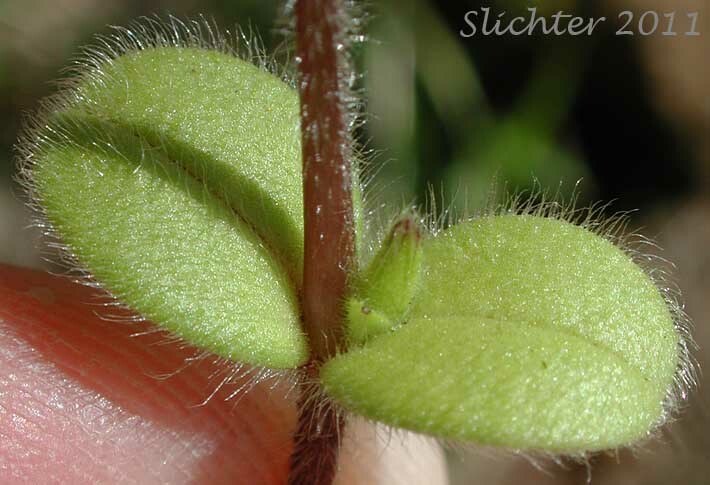 The stems, pedicels and clayx lobes are all covered with a mix of long and medium length hairs, the medium length hairs tipped with glands. 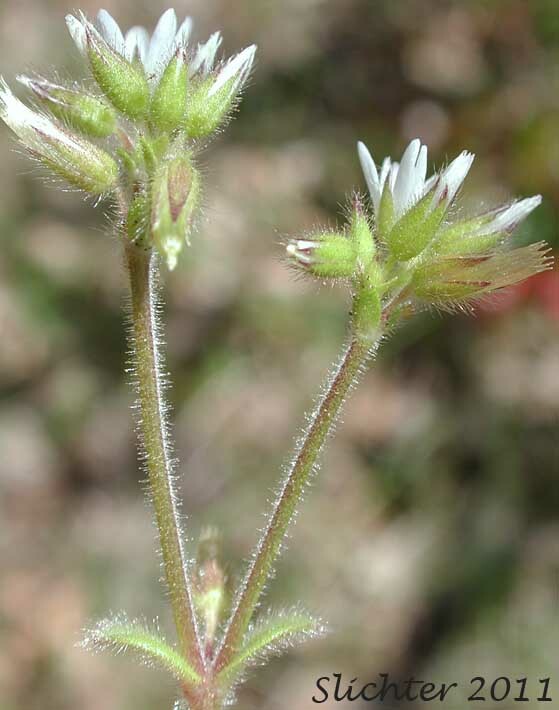 Note also that the flowers are clustered, which is a diagnostic characteristic of this species. 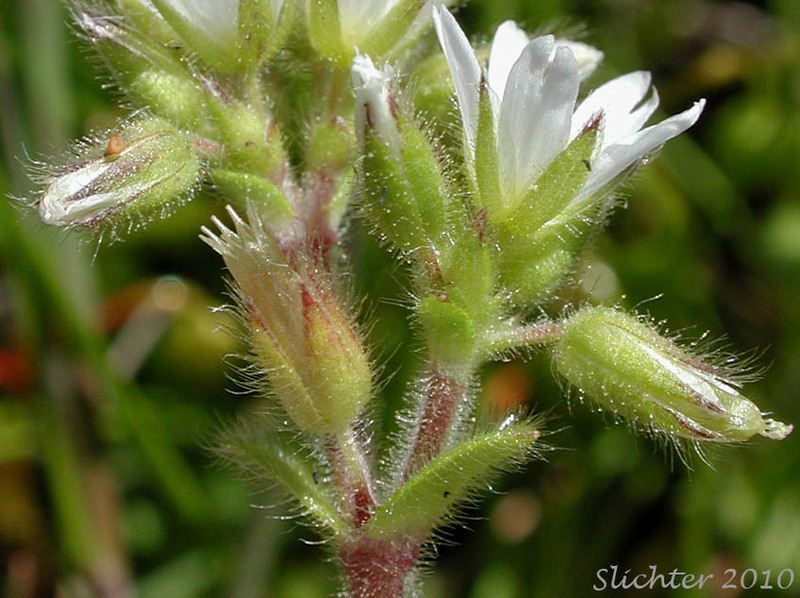 Close-ups of the broadly rounded stem leaves and inflorescence of sticky chickweed as seen along the Dog Mountain Trail in the Columbia River Gorge..............May 4, 2011.